About a year ago, Qantas started giving its elite frequent flyers (those with gold status and above) priority access to award seats on Qantas flights. While Qantas had always said that elite members had priority access to award seats, it didn’t meaningfully implement this policy, since it was obvious that a person’s status rarely provided an advantage. 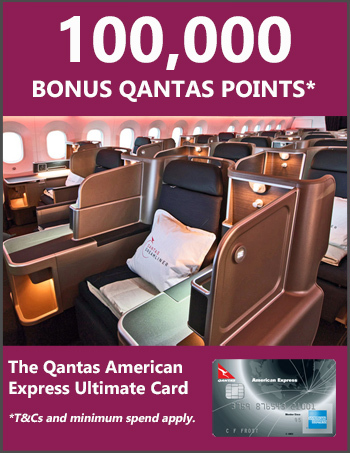 Then, early last year, I and some other gold and platinum frequent flyers started noticing that we could see many more award seats on the Qantas website than people with bronze or silver status could. It soon became clear that Qantas had changed its IT system to finally give its elite customers the perk it’s always promised. Qantas made this change quietly, so we don’t know exactly what the new policy is. But, by comparing the search results of people with different status, it appears that many award seats on long-haul routes are now reserved for gold and platinum members – especially in business and first class. This applies to Qantas flights only, not those of its partners. For example, gold and platinum frequent flyers now have exclusive access to some business and first class award seats when they are first released 353 days out from a flight. Everyone used to be able to see award seats at this time, but that’s no longer the case. Silver and bronze members now seem to get what’s left at about 330 days out. It also looks like gold and platinum members have better access to some shorter term award space. If you’re a silver or bronze frequent flyer and struggling to find an award seat on a Qantas flight, you should ask a family member with gold or platinum status to look for you. If they can see a seat and you can’t, they can book it for you – Qantas allows this, and your family member doesn’t need to be flying with you. Platinum frequent flyers can also call Qantas and ask for an award seat to be released on a flight that currently has no award availability. It’s not guaranteed this will work, but many people have found success with this approach. in-laws (mother, father, brother, sister, son or daughter). You can transfer this person the necessary Qantas Points as a simple family transfer, which usually goes through instantly. You should be aware that, once the booking is confirmed, any changes to the booking will need to be made by the person who booked it, not by you. With business and first class award seats becoming increasingly hard to get, hopefully this tip will help you get away on your next trip in style. Just wondering. Can someone who is maybe not really my brother in law book me a flight on his Gold Status QFF membership? He could, but you run the risk of Qantas finding out about it. That risk would be lower if he doesn’t also have many other “brother in laws”!